Will we be seeing the Duchess of Sussex Meghan Markle on the cover of Vogue anytime soon? YOU'RE READING Will we be seeing the Duchess of Sussex Meghan Markle on the cover of Vogue anytime soon? The question is; which Vogue edition, though? When Vogue US launched their new 'Go Ask Anna' series, a number of questions we've been dying to ask esteemed Editor-in-Chief Anna Wintour came to mind. But for now, we can only live vicariously through those who can pick Ms Wintour's brain in real time - some of whom have already asked her about her thoughts on platform shoes and the "age-old debate on maintaining a signature look," Vogue revealed. And what would a Q & A session with a global fashion authority be without a burning question about the most Googled person in 2017/2018 be? Well, in the first episode of 'Go ask Anna', fans asked what she thinks of the "recent rumblings that Meghan Markle has been shaking things up at Kensington Palace?" Of course, we all know Anna knows better than to drop her poker face to stir pots she has no business stirring. We can only hope that one (or five) of those texts are an exchange between the British royal and the fashion royal discussing a possible cover. And considering the fact that the Queen was seated on the 'frow' beside Anna Wintour at London Fashion Week last year February, it would not be surprising to see a member of the royal family gracing the pages of this fashion bible. And everybody knows what usually follows when someone quite literally rubs shoulders with Anna at Fashion Week - you get a Vogue cover. Or at least that's the pattern we've observed in the past. For example, social media/reality TV royalty, Kim Kardashian West has been spotted several times sitting front row in close proximity to Vogue's editor and she has seven Vogue covers to her name. 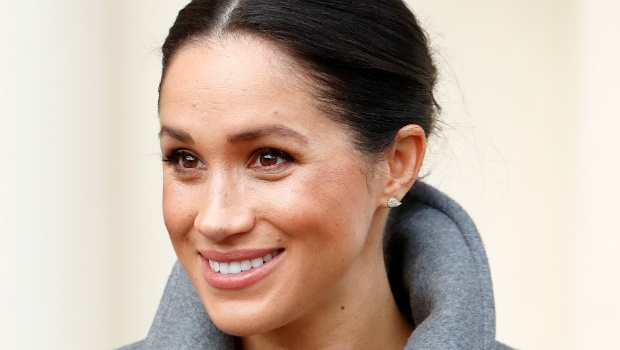 But back to Meghan Markle, who has been a cover star for many glossy publications during her days as an actress and in the period leading up to her wedding, but is yet to land one as a duchess. 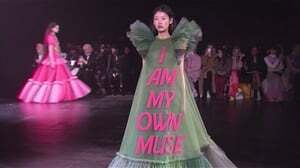 We think either Anna Wintour or British Vogue editor Edward Enninful (or both) will change that in 2019. Since his appointment as editor, Edward Enninful has upped the magazine's sales and made history by putting Rihanna on the September issue cover, so we can only trust that he has more surprises up his sleeve - one of which might include a Meghan Markle cover. In an interview with the Standard UK, Enninful shared how he has a keen interest in young royals, further revealing that he'd "love Meghan Markle on the cover of Vogue." Picture this - Meghan, Prince Harry and baby makes three, plus another Givenchy gown on a Vogue cover. It would make for a glorious one. But who will get to it first? Edward Enninful for the people's duchess or Anna Wintour for the U.S.' all-American girl? May the odds be ever in their favour. Whoever gets it, though, will have to live up to British royal covers of decades past, which include Princess Elizabeth and 18-month old Prince Charles, photographed at their home three years before she ascended the throne. According to British Vogue, Mrs Wallis Simpson was photographed in 1936, a year before she married Edward, Prince of Wales, and became the Duchess of Windsor, while 21-year-old Princess Anne's portrait was shot in 1971. The late Princess Diana got her cover in 1981. If the Duchess of Sussex has anything to do with it, we think an ode to Princess Diana will be on the cards when she finally lands her cover. And yes, yes, we know she's busy with more important things like her first pregnancy, but it's good to plan ahead, no?